TIME magazine recently featured the Bullitt Center as an example for environmentally responsible buildings. 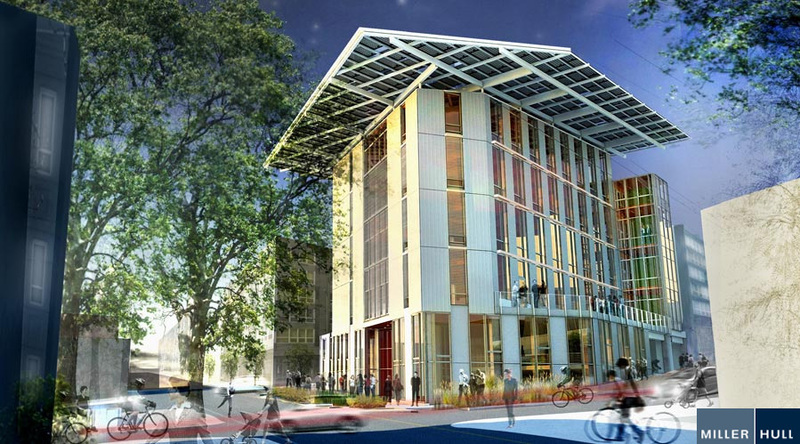 Solar Design Associates has been working with the architects at Miller Hull to design canopy and façade-mounted PV arrays for the new office building, currently under construction in Seattle’s Central Area. 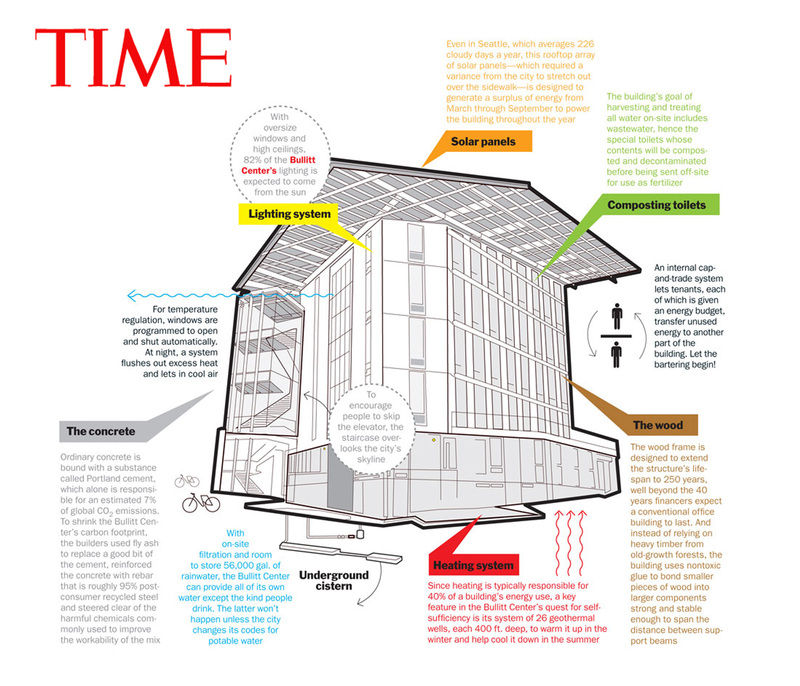 The photovoltaic system is a major contributor to the building’s qualification as a Living Building, the first of its kind to have that distinction from the International Living Future Institute. 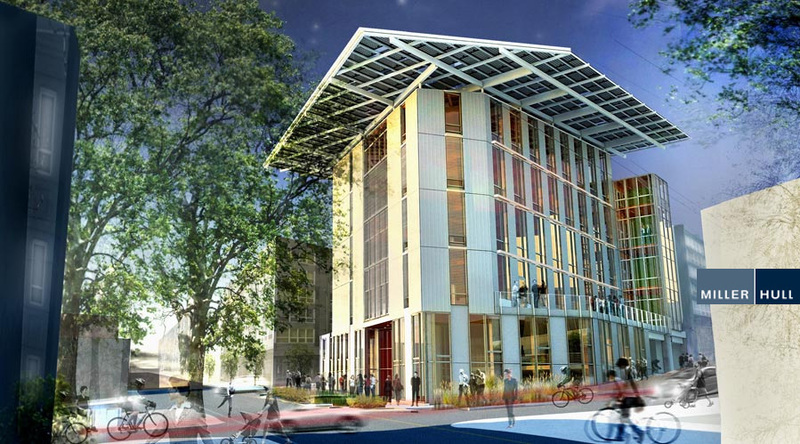 Among other environmentally progressive requirements of the Living Building Challenge, the Bullitt Center was designed to achieve zero net energy, indicating that it will produce as much energy as it consumes annually. While SDA designed the PV system to meet the estimated energy demand for the building, the occupants will play a pivotal role in whether or not the zero net energy goal is reached. Along with cutting-edge technology, user participation is a major design theme of this project, and represents a new paradigm for reducing the environmental impacts of buildings everywhere.